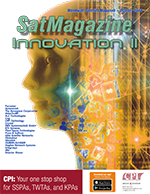 Home >> October 2018 Edition >> SatBroadcasting™: Video Over Satellite—Is there a future for this technology? These days, there are two types of video: Video-On-Demand (VOD) or Subscription Video-On-Demand (SVOD) — that’s the Netflixes of the world. Then there’s Live and Linear TV — that’s what is called TV Video. Some are questioning whether TV video has a future. The short answer is yes, simply because there will always be TV as long as there are sports, news and other big events that people want to watch. This live (or near live) content is the main driver of TV as it needs to be distributed to multiple viewers simultaneously and with no latency. The best way to do accomplish this content distribution is through a broadcast channel, as opposed to multiple unicast channels to many individuals. Satellite remains highly relevant as the technology is perfect for distributing TV channels on Direct-To-Home (DTH) platforms all over the world, and satellite broadcasting is also used by many TV channel providers to distribute channels to Over-The-Air (OTA) affiliates and cable headends, or from a super headend to regional headends. In fact, according to the World Teleport Association’s (WTA) Teleport Opportunity Survey, 45 percent of teleports generate more than half of their business from the media and entertainment markets. However, the internet has changed everything and is able to deliver a personalized, rich media experience to anyone who loads a web page or initiates a video stream. This could mean that TV video is at risk of falling behind. Advertisers have long been drooling over the opportunities presented by video over the internet, specifically the potential for addressable ads. In actuality, however, digital advertising hasn’t quite lived up to expectations. In 2017, Proctor & Gamble actually decreased its digital ad spend by a huge $200 million, reallocating their ads to TV, audio and ecommerce ads. This shift resulted in a reach increase of 10 percent. Addressable ads are those that are served to specific viewers/audiences, according to specific viewer data. This data can range from anything, such as whether a viewer has pet insurance (which signifies whether they own a pet), or even generic data such as the location of a watching viewer. Such collected data makes it possible for content providers to tailor which ads specific audiences are exposed to, thereby ensuring only the most relevant are inserted into a stream. This, therefore, increases the likelihood of the ad’s success, and by extension, the value of the ad spot itself (as well as making the viewer experience more personalized). Until recently, the common belief was that addressable ads can only be delivered in unicast streams to individual viewers: that is to say via VOD or SVOD. Nowadays, thanks to HbbTV and ASTC 3.0, there is a potential to deliver personalized TV with addressable ads to large audiences, especially when they are mobile. The broadcasting company Sirius XM, for example, has already demonstrated how to combine satellite broadcasting with terrestrial repeaters to deliver reliable media to mobile receivers even when they lack line of sight to the satellite. Addressable ads in satellite TV become even more of a reality when the rate of evolution in flat panel satellite antenna technology and the development of car roofs capable of receiving (and transmitting) satellite signals is considered. Worth noting, however, is that satellite — like HbbTV (Hybrid Broadcast Broadband TV ) and ATSC 3.0 (IP-based OTA TV broadcast standard) — can struggle to provide a fully personalized and interactive TV experience in isolation. In order to do this, satTV needs ground repeaters and interactive back channels that are provided by terrestrial partners, such as mobile or fixed-location broadband service providers. This could turn out to be a mutually beneficial relationship. After all, when there are tens of thousands of people streaming the same world cup match, there are tens of thousands of unicast streams gobbling up available capacity. As a result, mobile operators will need broadcast partners just as much as satellite companies will need terrestrial partners. To truly make hybrid satellite broadcasting and terrestrial two-way unicast systems viable from the point of addressable ad delivery, the ability to switch to alternate video content at the correct point in time and the correct point in the distribution path is needed. The only way to provide that capability is to enable the switching device to know exactly which frames of video are being received now and exactly which video segments will be coming up in the near future for that same video stream. Currently there are in-band signaling methods (SCTE 35) and video synchronization methods using fingerprints (like ATSC A/336) that do work well to this end and are industry adopted standards. However, there remains a problem in that no two TV network providers use in-band signaling the same way, or support synchronization methods... yet. These are big barriers to overcome before addressable ads in broadcast TV video can become a reality. This is the area in which Crystal has been developing solutions, a number of which could prove to be revolutionary for businesses. Clearly there are big challenges to enabling addressable ads in TV video, but they are certainly not insurmountable. 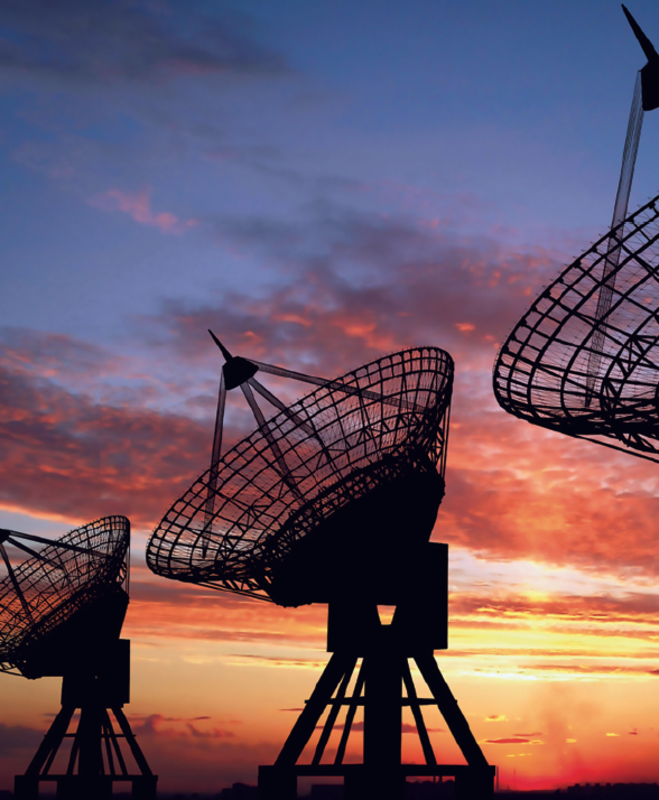 It could even be the case that business relationships prove to be the most difficult obstacle for the satellite industry, and not those of a technical nature. In any case, successful addressable advertising in satellite TV would not just be a triumph for the broadcast industry — addressable advertising would also solidify the validity of SatBroadcasting. Roger Franklin’s role as CEO of the company is to make certain the Crystal team has what they need so they can properly service the company’s customers. Roger also focuses on methods and solutions that enable customers to increase the efficiency of resiliency of their video and data networks through customer observations and communications, as well as the Crystal sales and implementation teams, to understand where operational issues exist and then lead a collaborative group to design solutions. Roger also stays involved with the development team to ensure that the solutions Crystal builds satisfy the needs of the customers. In addition to his day-to-day duties at Crystal, he also serves as a member of the board of directors for the World Teleport Association and participates in some of their sub-committees. Franklin is also involved with some video standards groups of the Society of Cable Telecommunications Engineers (SCTE) and the Interference Reduction Group (IRG).